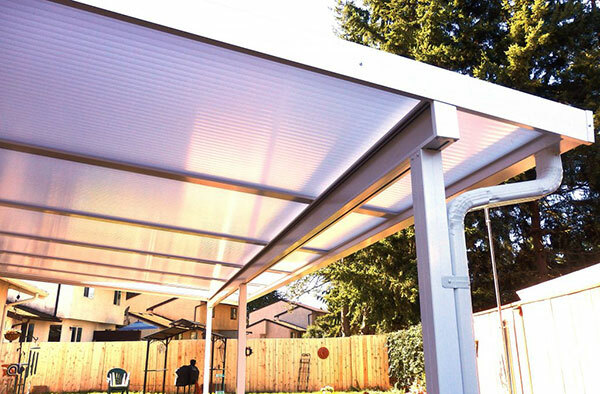 We all know how much it rains here in Western Washington, so a patio cover is a great way to enjoy your outdoor living area year-round. 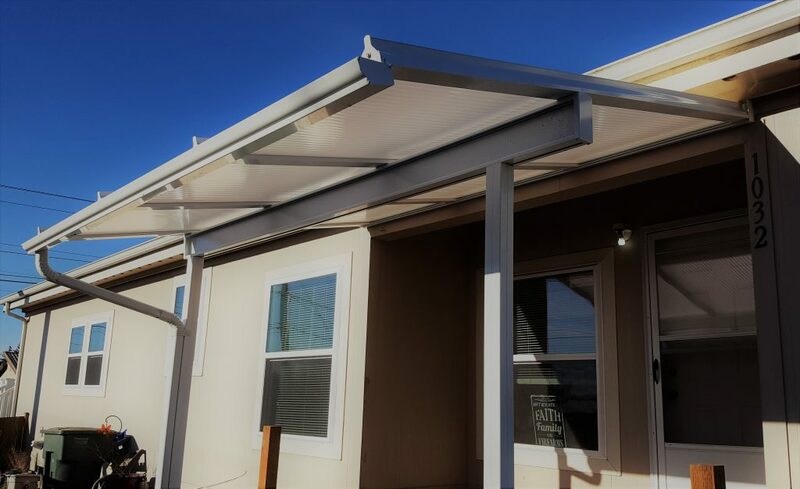 Our system comes prefinished in your choice of color made from high quality materials that are structurally sound and require no maintenance. The roofing panels are commercial greenhouse quality and they not only allow you to stay dry in the rainy months, but enjoy soft, cool sunlight even on the hottest summer days. 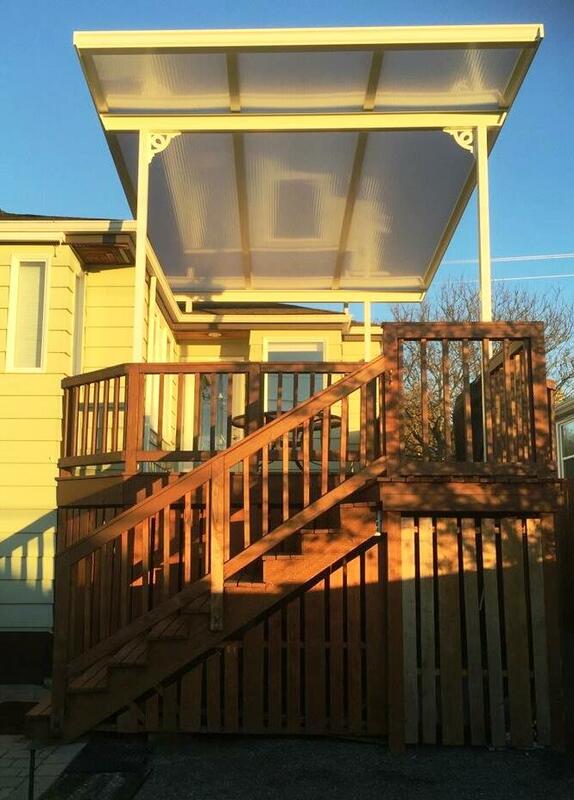 The best part of our patio cover systems is they look beautiful and add an awesome accent to your home and yard! 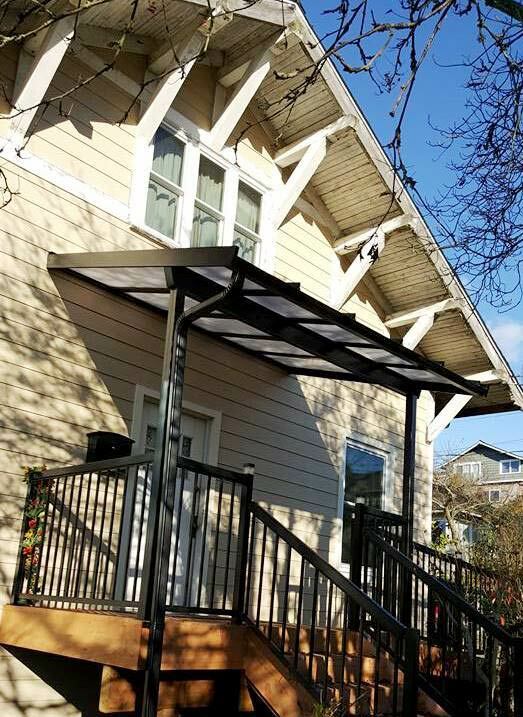 For more info on our custom decks or awnings please CONTACT US.